Hiding in Arashiyama, on the outskirts of Kyoto, Japan, is the Miffy Sakura Bakery. 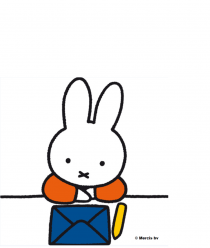 New Year’s Day is just over two weeks away, so why not start getting yourself organised for 2019 with a sweet Miffy calendar? A new range of Miffy bedding has now launched in selected Primark stores! A sweet new 20-piece capsule collection of stylish and chic clothing for kids has launched today! From now until 31st December, Japanese-French cafe Kumoya in Singapore will be transformed into a pop-up Miffy café!